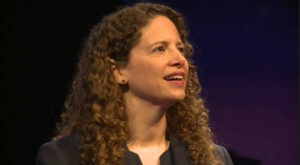 Karima Bennoune is a professor of international law at the University of California–Davis School of Law. She grew up in Algeria and the United States and now lives in northern California. Her father was an outspoken professor at the University of Algiers who faced death threats during the 1990s, but continued speaking out against fundamentalism and terrorism. In writing her groundbreaking book, Your Fatwa Does Not Apply Here: Untold Stories from the Fight Against Muslim Fundamentalism, she set out to meet other people who acted courageously in the face of extremism and to garner greater international support for these heroic trailblazers. In 2014, Your Fatwa Does Not Apply Here won the Dayton Literary Peace Prize for non-fiction. It was also selected as the best social science book of 2013 by the American Library Association’s Booklist. The first TED talk based on the book—“When People of Muslim Heritage Confront Fundamentalism”—has garnered over 1.35 million views. Karima Bennoune has also been a consultant on human rights issues for the International Council on Human Rights Policy, the Soros Foundation, the Coalition to Stop the Use of Child Soldiers, and UNESCO. Her human rights field missions have included Afghanistan, Bangladesh, Bosnia, Fiji, Lebanon, Pakistan, South Korea, Thailand, and Tunisia. In 2009-2010, she was one of a group of international experts assembled by Leiden University to develop a new set of policy recommendations on counter-terrorism and international law. In October 2011, she acted as an election observer during the Tunisian constituent assembly elections with Gender Concerns International. In 2015, she served as an expert at the African regional summit in Nairobi on countering violent extremism. That same year, she was named United Nations Special Rapporteur in the Field of Cultural Rights.